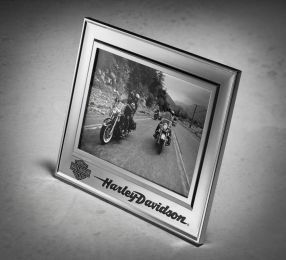 Every Harley-Davidson enthusiast can make their home unique with Harley-Davidson collectibles, home accessories, artwork, and even barware. 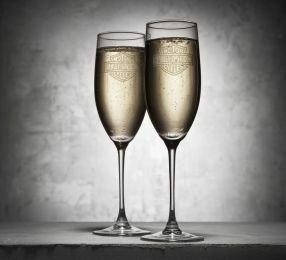 Toast to good friends and great rides with Harley-Davidson glasses and barware. From shot glasses to Harley-Davidson martini glasses, the perfect salute starts with Harley-Davidson barware. Nothing brings you back to life in the morning like a hot cup of coffee. 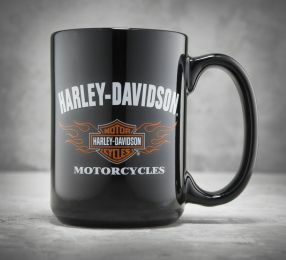 Harley-Davison logo coffee mugs give you what you need to wake up and get ready for your next ride. Riding deserves a shot, take out your camera and click. Picture perfect memories post in a perfect fit frame. Looking for a cute yet mad and wild on the inside? Either to help you save up or use for decorating your house? 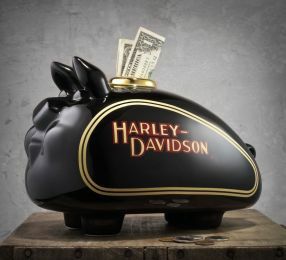 The answer is Harley-Davidson® hog collectibles. Go chrome for the holidays with Harley-Davidson® Christmas and holiday decor for your home. 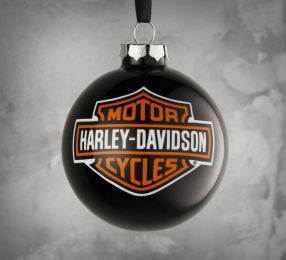 Go on, fill your Harley-Davidson® Christmas stocking with riding gear for some high-octane holiday cheer. 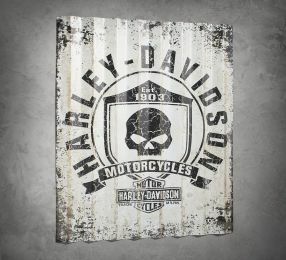 H-D vintage tin signs are icons of bike shops and roadhouses across the country. Build your own iconic space by bringing these vintage Harley-Davison tin signs into your own home or garage. 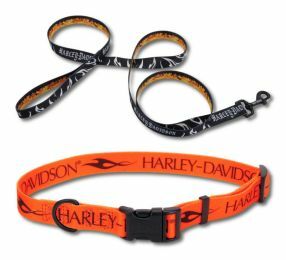 Don't forget that man's best friend also likes to wear Harley-Davidson® gear. 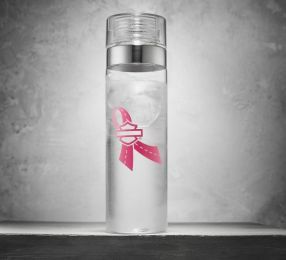 Harley-Davidson logo water bottles, aluminum water bottles, and insulated water bottles stay cool on the road, just like you.